Draper Lake Coastal Village is a private gated development comprised of two magnificent wooded peninsulas separated by a tributary to Draper Lake. Draper Lake is one of several very special coastal dune lakes found along the Florida Panhandle. They are considered the Jewels of the Florida Emerald Coast. The lake fronts the Gulf of Mexico beach and is connected to the Gulf through a dune opening. The community land located within the first 100 feet from the lake’s edge is protected from development, providing pedestrian access to the water through winding nature and hiking trails. This plan was created in partnership with Duany Plater-Zyberk & Company. Draper Lake boasts a unique natural environment featuring a protected ecosystem harboring unique flora, fauna, and marine life, surrounding live oaks and pine forests, and an immediate proximity to the Gulf of Mexico. This single family residential community of 96 lots includes two community pools, boat houses that provide access to the coastal dune lake and the Gulf, and a 48 foot observation tower. Pedestrian trails provide a continuous link to the greenway system running through the property. The site layout and architectural character of the new traditional Coastal Village for Draper Lake is designed in character with the building traditions of the historic Great Camps of the Adirondacks, the Chautauqua Assemblies, and other mountain/lake villages and retreats. The Regulating Plan and Architectural, Urban and Street standards regulate the layout and character of the buildings, circulation, and open space. 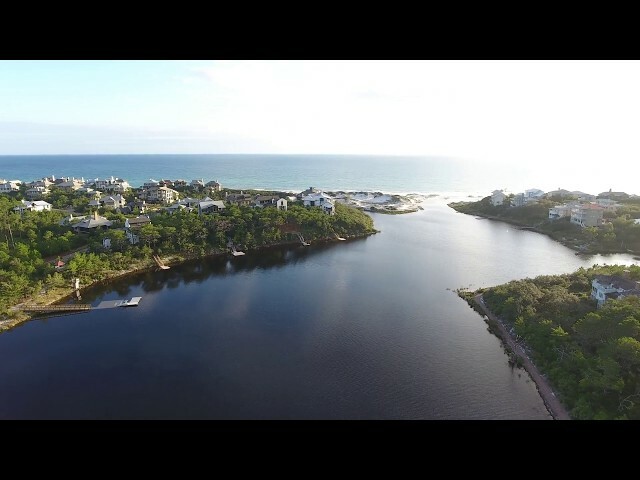 The Draper Lake Coastal Community was designed in 2003 by world-renowned town planners Duany Plater-Zyberk (DPZ) to create an exclusive, gated community on 30A that reflects the unique character of its location on wooded hills above a rare, coastal dune lake. The spirit of this setting inspired DPZ to design a walkable, bike-, board-, and kayak-friendly community based on the Great Camps of the Adirondacks, Lake Champlain and other turn-of-the-century lakefront retreats. Draper Lake has been featured in many fine publications since its creation, including a place on the cover of Southern Living magazine. Draper Lake is in the early stages of community building, and our purpose is to evolve along with you and your family while maintaining a unique environment, a protected ecosystem and the highest standards of design and construction all within the immediate proximity of the Gulf of Mexico. Draper Lake Coastal Village aspires to be a sustainable and environmentally respectful community that embraces a natural tranquility and beauty of the nearby Gulf of Mexico. By fostering an architectural uniqueness ensconced in harmony with a rare coastal dune lake, Draper Lake Coastal Village is a place that nurtures human happiness, well-being and engaged life styles. A mixture of diverse people in a private, gated community, collectively devoted to a welcoming and friendly interaction with each other. We are committed to maintaining that togetherness of spirit while protecting the surrounding eco-system. A relaxed neighborhood that is people-oriented while respecting the environment; inspiring a connection to nature through individually defined active lifestyles by means of walking trails, community pools, gulf access and Draper Lake itself. Compelled with an urgency of creativity and forward thinking results in solitude with nature to be enjoyed each and every day. Nestled along Scenic Highway 30A, Draper Lake Coastal Village stands alone. In the heart of enchanting beautiful green waters, wooded land and sunshine, the very nature of Draper Lake is to preserve the interaction between our community and nature’s beauty … for today, and for the future.